Welcome to the Members’ Hub! This area serves as the eye of the storm for The Cyclone community, where members can find our in-field updates, browse our behind the scenes content and membership perks, and communicate directly with the Manta Team. Our goal is to grow and develop a community of manta-lovers that support and participate in efforts to conserve these gentle giants. We have a [plank]tonne of ideas for the future of The Cyclone, including new content and features so we can better engage with you - so don’t be surprised if this area evolves and changes over time. If you have any ideas or feedback about The Cyclone, please get in touch with us using the form at the bottom of this page. We would love to hear from you! Join us In the Field for the latest news, media, and stories from members of the Manta Team around the world. After such an extraordinary couple of months in Fuvahmulah Atoll, we had to bring you an exciting field update from the south Maldives this month! Dr. Guy Stevens, our CEO and Founder, and research officer Simon Hilbourne share news on this new research project that has already identified over 250 new oceanic mantas this year. Then we head to the South Pacific to meet Lydia Green who gives some fascinating insight into the set up of her new project, Manta Watch New Zealand. This month we discover the manta secrets of northern Raa Atoll as we join our Maldivian Manta Ray Project team on a scoping mission. We hear from Annie Murray who has been studying the impact of human interactions on manta behaviour, and from Isabel Ender who heads up our Global Mobulid Conservation Programme. We travel to Ecuador to learn more about work being done to research and protect the world’s largest known oceanic manta population. In this month’s ‘Meet the Team’ feature we introduce Michel Guerrero, Co-Founder of Proyecto Mantas Ecuador, who has been diving these waters for over twenty years! Around the world the Manta Team are conducting exciting research to learn more about the mysterious lives of manta rays. Over the coming months we’ll be showcasing updates from a featured research project, so that you can follow the journey from start to finish, and experience the successes and challenges along the way. The Maldivian Manta Ray Project (MMRP) wants to know if manta rays use reef habitats differently when divers/snorkelers are present, as well as deepen our understanding of how temporal scales affect manta activity. Underwater time-lapse cameras will provide new insight into manta behaviour and habitat use, so that we can provide vital scientific guidance to Maldivian communities, businesses and the government; ultimately helping them to protect the local manta population on which their economy depends. Learn more about the background behind this project through the following page on crowdfunding platform, experiment.com. Simon Hilbourne, Research Officer for the MMRP, introduces the Eyes on the Reef project. This video was originally made for a crowdfunding campaign on experiment.com. In this latest update, Simon talks us through the finished camera rigs he’s been able to build through this crowdfunded project, and takes it out to a popular cleaning station in Baa Atoll to test it and showcase some of the initial video data it’s bringing to the surface. Filmed & Edited by Danny Copeland. Browse our growing archive of content made available exclusively for Cyclone Members from our network around the world! Stefany Rojas, Project Leader for the Peru Mobulid Project, shows us the highlights of a recent Manta Festival she held with local collaborators in Los Organos - a coastal community located in northern Peru, whose waters house one of the largest populations of oceanic mantas in the world. 2018 has been an INSANE year for manta and megafauna activity in Baa Atoll, Maldives! Danny Copeland, our Media & Communications Manager, has been working with the Maldivian Manta Ray Project to capture footage of the manta madness. In this short film, Danny recounts his most memorable experience whilst in Baa - being enveloped by a ‘mega’ manta cyclone! Filmed & Edited by Danny Copeland (October 2018). The following is a selection of clips and videos from the Manta Trust Video Archive. They include interviews and segments from past documentaries we’ve featured in, news-pieces focusing on our work, as well as in-house content that various members of the Manta Team have made over the years. We hope you enjoy taking a trip down memory lane with us, and gaining an insight into our earlier work. A short film featuring Dr. Mark Deakos and the team from the Maldivian Manta Ray Project’s base at Six Senses Laamu, as they work together to accurately measure the size of the mantas in Laamu Atoll. Filmed & edited by Beth Taylor. Underwater cameraman and journalist John McIntyre joins the Manta Trust team in the Maldives in 2011. John interviews the Manta Trusts Founder, Guy Stevens, who talks about the importance of research as a valuable tool in achieving effective conservation measures. From the 2011 documentary film, Project MANTA. In this segment, Manta Trust Founder & CEO, Dr. Guy Stevens, and Dr. Robert Rubin from the Pacific Manta Research Group (a MT Affiliate Project), discuss the increasing threat of fisheries to manta rays. Permission granted by Kaufmann Productions Pty Ltd.
From the 2011 documentary film, Project MANTA. In this segment, Manta Trust Founder & CEO, Dr. Guy Stevens, tells the story of a particularly special encounter with a Maldivian manta ray. As a small thank you for joining The Cyclone, we’re offering a few perks to members of the community. These perks will change and be added to over time, so watch this space! *Available to members on monthly plans of £20 or higher, and any members who have made an annual recurring donation. 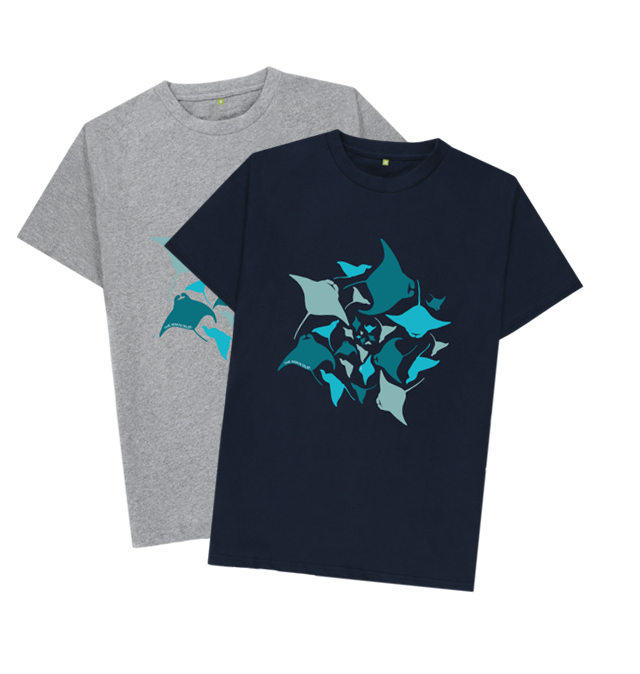 Get a discount on Manta Trust merchandise through our members-only site! Have you got a question for us about The Cyclone? Do you have any feedback you’d like to share? Or maybe you have an awesome idea for a new feature or piece of content you’d like us to bring to community! Whatever your thoughts, please drop us a message through the form below - we’d love to hear from you! Thank you! Your message has been successfully submitted. A member of the Manta Team will be in touch shortly.